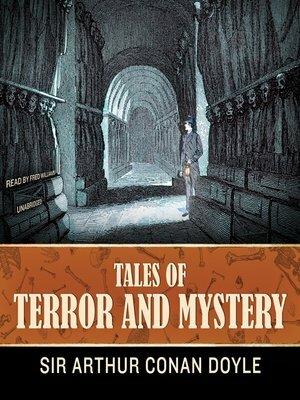 This volume presents some of Arthur Conan Doyle's unduly neglected masterworks of suspense. Each begins in a quietly factual way, which makes all the more dramatic the crescendo of fear and puzzlement that ensues as each startling new circumstance is revealed. Even without his supremely logical brainchild Sherlock Holmes, Conan Doyle shows that his tales are unbeatable for thrills and excitement. This is a great opportunity for the listener to discover a new facet of the master's ability to mystify and enthrall. "The Horror of the Heights"
"The Case of Lady Sannox"
"The Terror of Blue John Gap"
"The Man with the Watches"